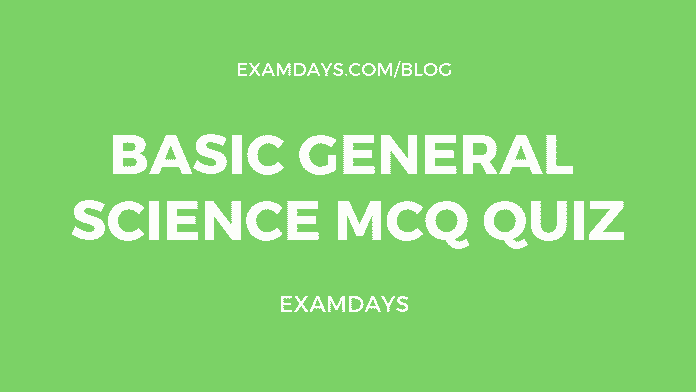 General Science Multiple Choice Questions MCQ cover complete science related subjects like say, Information Technology, Science, Physics, Chemistry, Biology, and Zoology subjects. 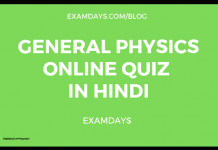 Those who are giving any State or National level examinations, candidates have to practice the General Science MCQ regularly. Every exam has a section for General Science subject. Where it will ask 10 to 20 questions on it. Candidates refer to these questions and answers and practice them regularly. Which one of the following is not a chemical change ? Which metal remains in the liquid form under normal conditions? Which metal is commonly used for making an electromagnet? Which of the following is the source of common salt? What is the main constituent of coal gas? For Which one of the following is the density maximum ? Which one of the following does not contain silver? Which one among the following is called philosophers wool? Which one of the following when dissolved in HO gives hissing sound? Which one of the following is also called Stranger Gas? Which one of the following is used as a mordant in dying and tanning industry? Mixture of which one of the following pairs of gases is the causes of occurance of most of the explosion in mines? Which synthetic fibre is known as artificial silk? Which one of the following is used as a filter in rubber tyres? Which one of the following polymeric matreials is used for making bullet proof jacket? Which one of the following elements is not present in stainless steel? Talc contains which one of the following ? Which one of the following substances is made up of only one type of atoms? Which one of the following glasses is used in bullet proof screens? What is a mixture of potassium nitrate , powdered charcoal and sulphur called? Which one of the following is the softest? Which one of the following correctly defines the state of glass? Which one of the following is an element which never exhibits positive oxidation state in any of its compounds? Which one of the following materials is suitable for water purification? Which one of the following is a major constituent of Biogas ? Which one of the following is present in the emission from “unleaded petrol”? Which one of the following is used in preparing match sticks? Chloro-fluro-carbon gases are not used in which of the following? Among the following elements, which one is not present in a pure sugar? Which one of the following has the highest fuel value? What is the chemical name of Green vitriol? What is the first element of periodic table? Which among the following is in liquid state at normal room temperature? Who was the father of chemistry? Which one of the following is a protein fibre? Which one of the following contains maxithe mum percentage of nitrogen by mass? Which one of the following is an element ? Comment below, if any questions or concepts are, missed in the General Science MCQ Quiz exam. 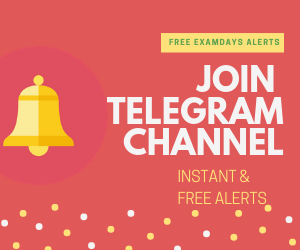 We will cover missed concepts or subjects.